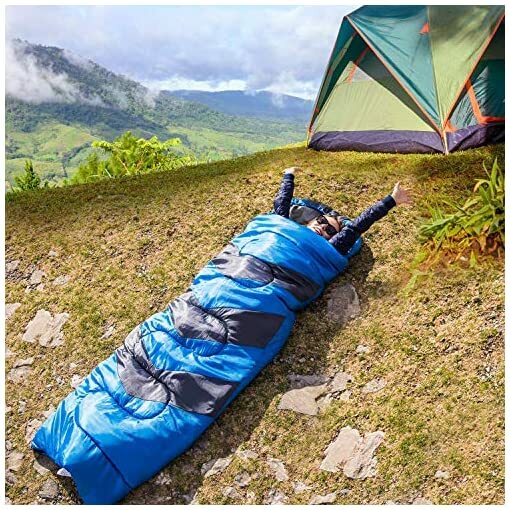 SLEEPING ON THE GROUND HAS NEVER BEEN SO COMFORTABLE: Sleeping outdoors is a unique experience, but also a very uncomfortable one. 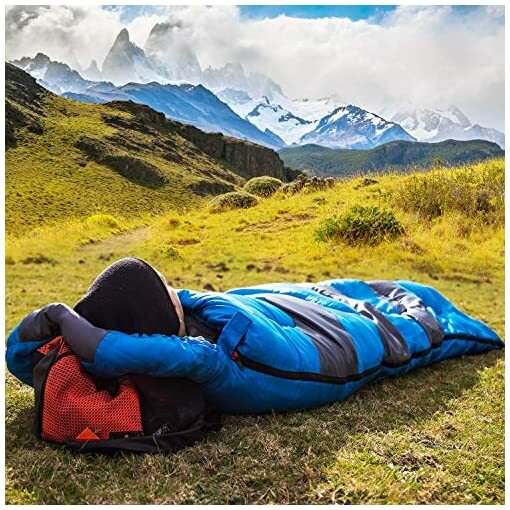 Hihiker has created this premium camping sleeping bedroll to solve exactly that problem! 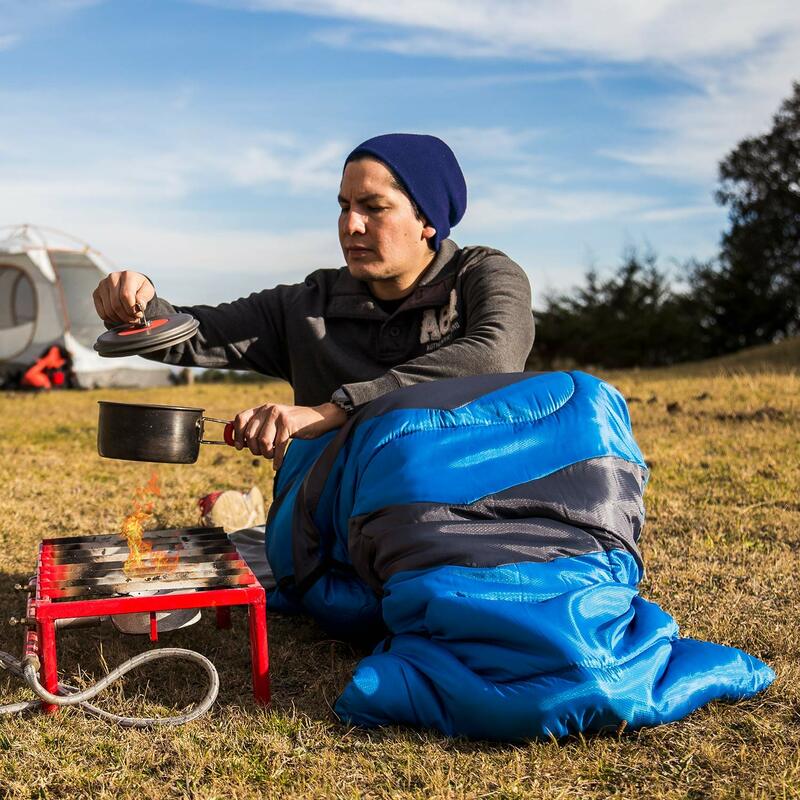 Even if the ground you’re sleeping on is cold and wet, you will be absolutely warm and cozy in our camping sleep bag. WHY STRAIN YOUR NECK when you can use a headrest and be as comfortable as you’d be at home? Hihiker has included a soft travel pillow in the outdoor gear set, to provide your neck and head with support and prevent strains. The travel cushion is packable and very lightweight, making it astoundingly easy to carry it around. 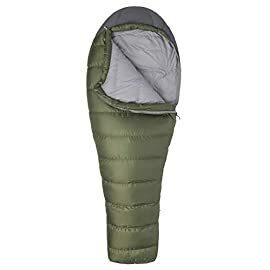 IDEAL FOR BOTH LOW AND HIGH TEMPERATURES: You can use this hooded sleeping during all 4 seasons, when the temperature is 25 degrees Fahrenheit or more. 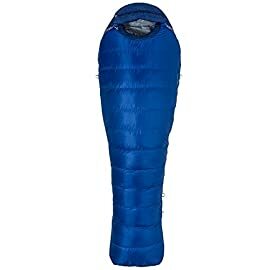 The heat retention technology and stitching will keep your body warm during a cold night, while the double sided zippers allow you to open the adult sleeping bag and get some air. 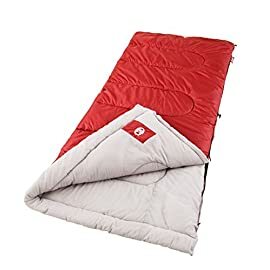 If You Enjoy Camping, You Know How Uncomfortable Sleeping on the Ground Is. 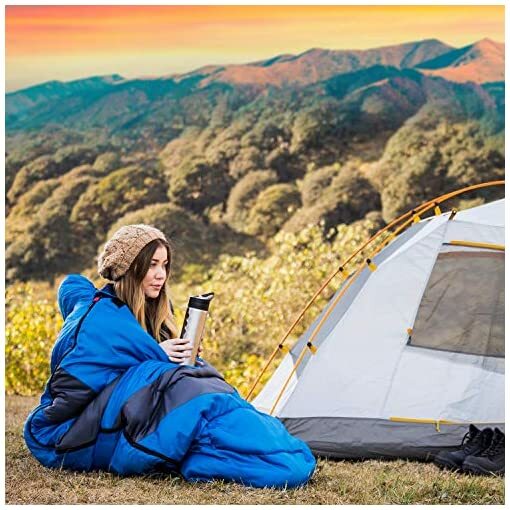 Here at Hihiker we love camping and outdoor activities, so we know exactly how cold and physically painful it is to sleep outdoors. That’s why we decided to use our experience and outdoor knowledge to create a sleeping bag that will solve all of our camping problems! 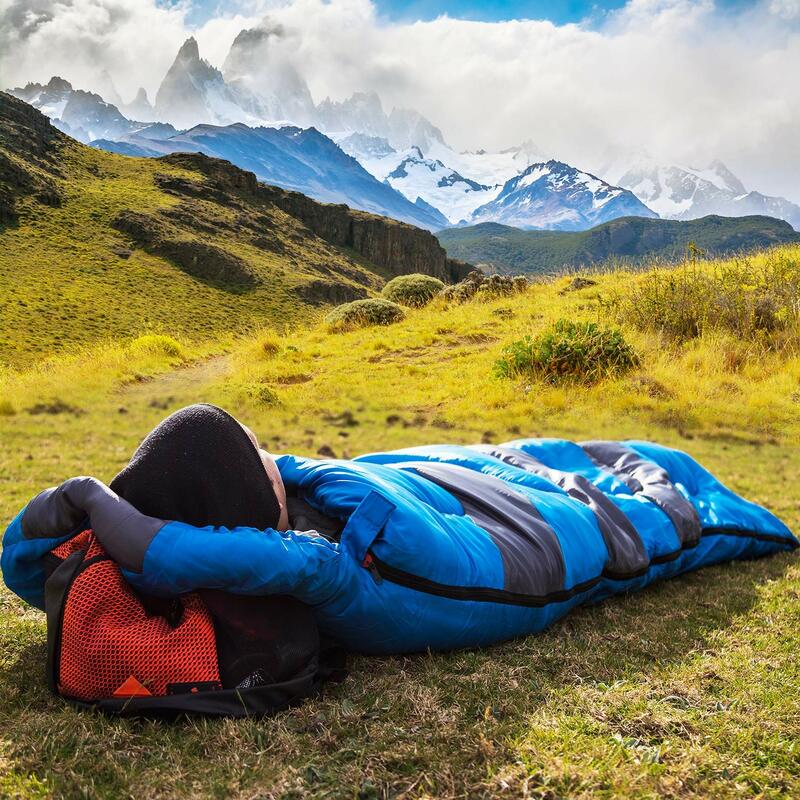 Our hooded sleeping bag is made with a heat retention technology, a smart stitching and a waterproof shell, and it is guaranteed to keep you warm and cozy, even if the temperature is as low as 25 degrees Fahrenheit. 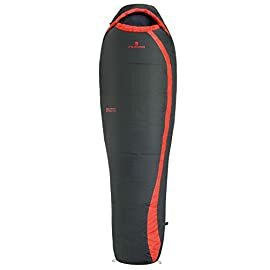 However, You’ll be able to also use this waterproof sleeping bag with the drawstring hood on warmer days and open the double sided zipper to cool down. Does the Ground Still Feel Uncomfortable? That’s because your head and neck are not supported correctly. 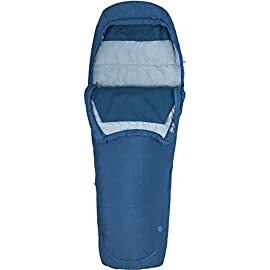 This foldable sleeping bag comes with a soft travel pillow, so you are able to sleep in a good position and your head, neck and spine won’t get strained. 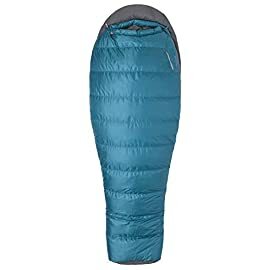 Our adult sleeping bag turns into a lightweight, compact cylinder once you fold it and store it in its matching compression carrying bag. 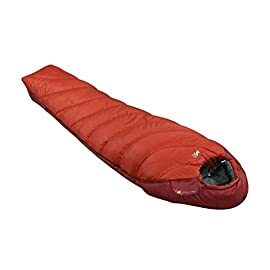 Another practical element of this premium sleeping bag is its washable and durable materials that can withstand constant use and regular washing without getting damaged. 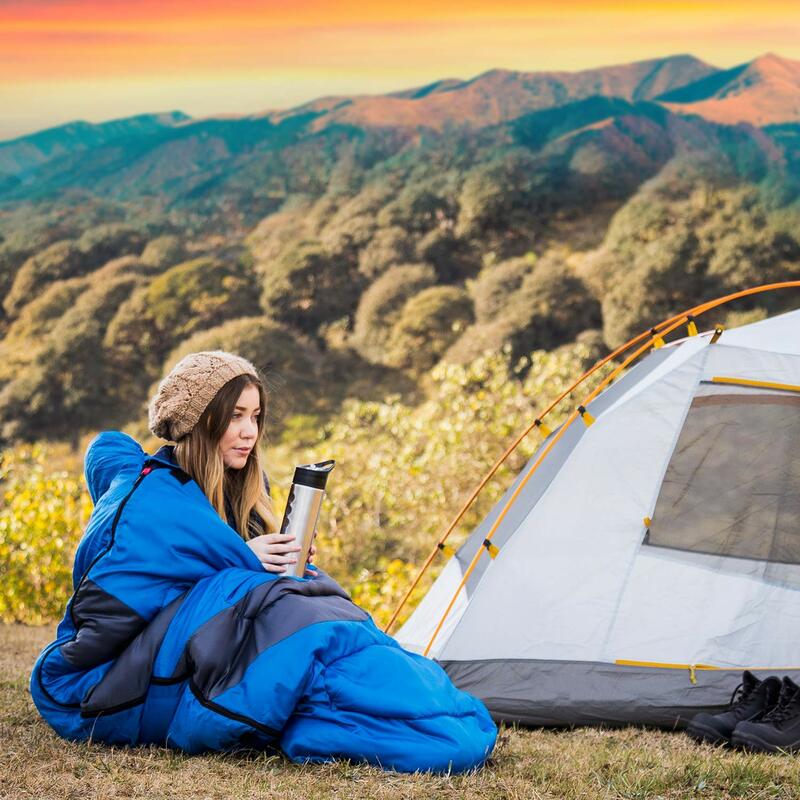 We’re very confident about the quality, durability and practicality of our camping sleeping bag for adults, that’s why we offer you a lifetime warranty. 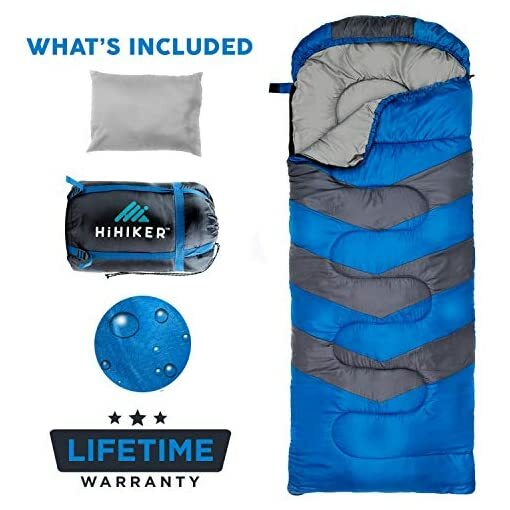 So get this amazing sleeping bag with the comfortable pillow and check out them out. If the product you receive turns out to be defective, we can immediately replace it with a new one. 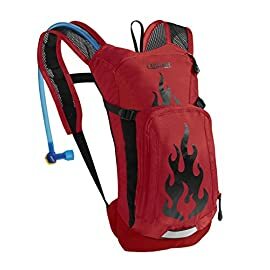 How could you say no to such a deal? 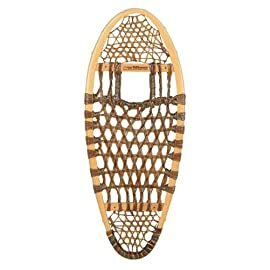 Scroll Up and Click the “Add to Cart” Button NOW! 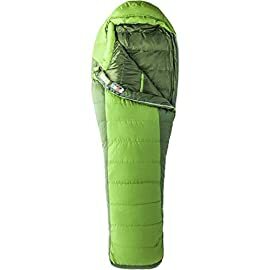 SLEEPING ON THE GROUND HAS NEVER BEEN SO COMFORTABLE: Sleeping outdoors is a unique experience, but also a very uncomfortable one. Hihiker has created this premium camping sleeping bedroll to solve exactly that problem! Even if the ground you’re sleeping on is cold and wet, you are going to be absolutely warm and cozy in our camping sleep bag. WHY STRAIN YOUR NECK when You’ll be able to use a headrest and be as comfortable as you’d be at home? 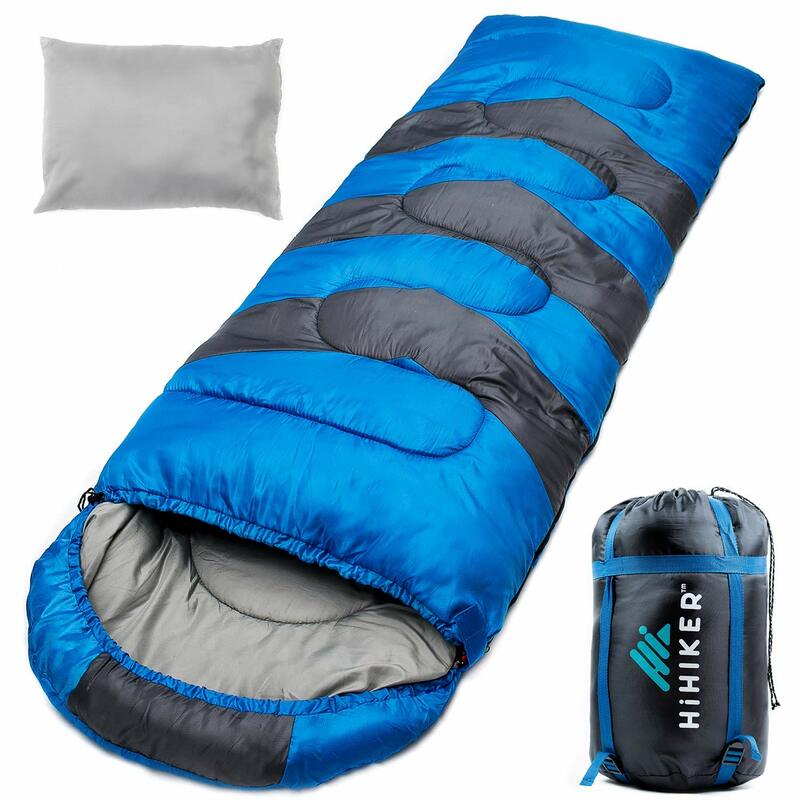 Hihiker has included a soft travel pillow in the outdoor gear set, to provide your neck and head with support and prevent strains. The travel cushion is packable and very lightweight, making it astoundingly easy to carry it around. 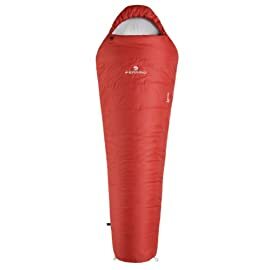 IDEAL FOR BOTH LOW AND HIGH TEMPERATURES: You’ll be able to use this hooded sleeping during all 4 seasons, when the temperature is 25 degrees Fahrenheit or more. 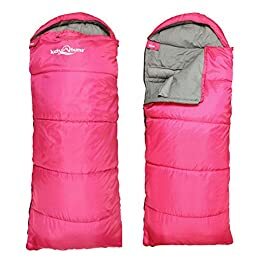 The heat retention technology and stitching will keep your body warm during a cold night, even as the double sided zippers allow you to open the adult sleeping bag and get some air. 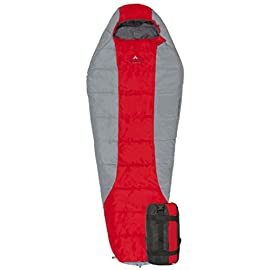 PRACTICAL COMPACT AND LIGHTWEIGHT DESIGN: Our 86.6″x31.5″ sleeping bag is large enough to fit an adult. Alternatively, don’t let its size scare you! 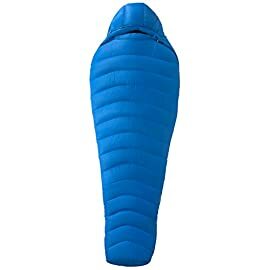 When folded and store in its compression carrying bag, the lightweight sleeping bag is very compact and easy to carry. 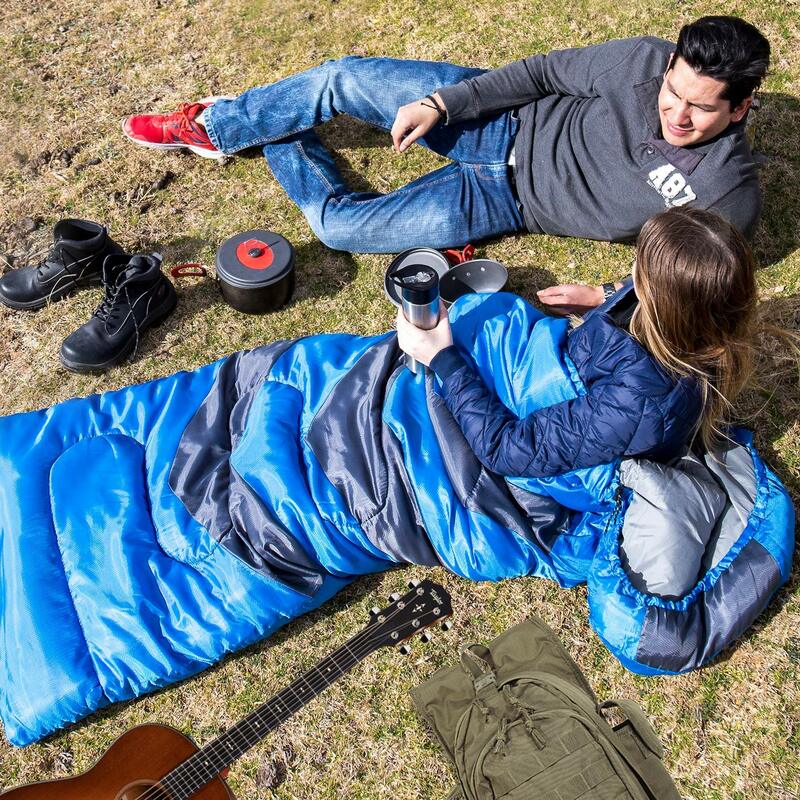 Remember that, our waterproof sleeping bag is also washable, so feel free to wash it as ceaselessly as you have to. 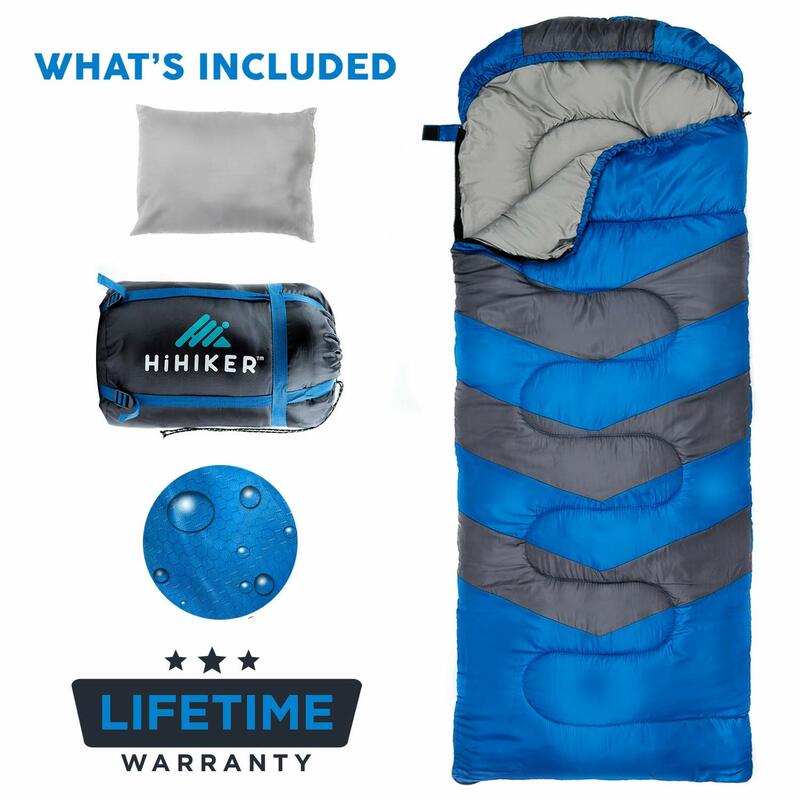 YOUR SATISFACTION IS GUARANTEED: Here at Hihiker we pay great attention to detail in order to ensure that our outside sleeping bags are durable and well made. 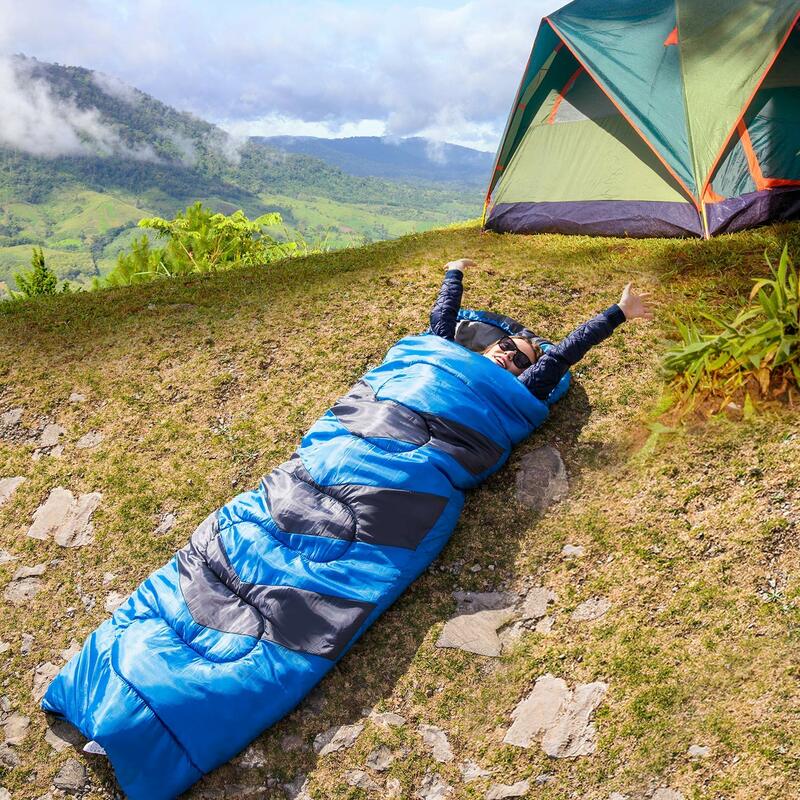 In the unlikely event that your new sleeping bag is defective, You’ll be able to benefit from our lifetime warranty and ask for a new one.